Sleep Less. Read More. 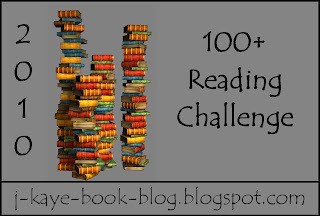 : 2010 100+ Reading Challenge! Over on J. Kaye's book blog is the 100+ Challenge. What this challenge is, is to read 100 or more books in 2010! Just click here to find out about it and sign up! I have not chosen my books, I'm going to list them as I go!